Once you have your Forum installed you probably would like to configure it depending on your personal needs. phpBB provides large amount of options in its configuration and in this tutorial we will show and explain all of these options. In order to access the configuration page for your Forum please login into the Administration Control Panel and navigate to Board Configuration > Board Settings. 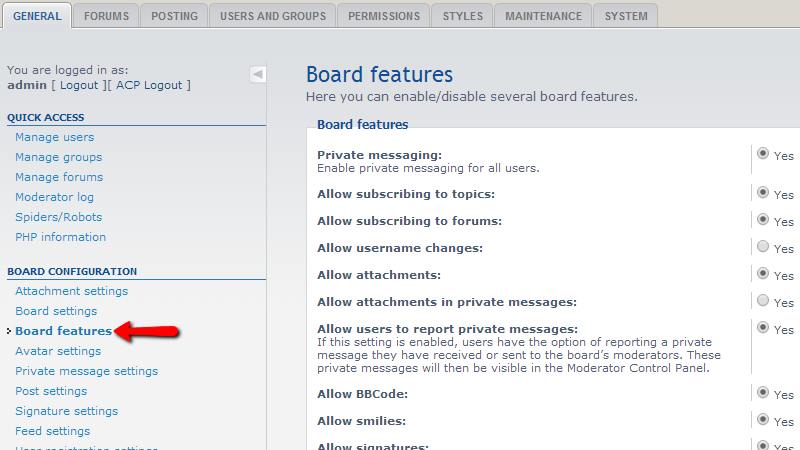 This link will redirect you to the Board Settings page where you can set all of the basic settings for your forum. 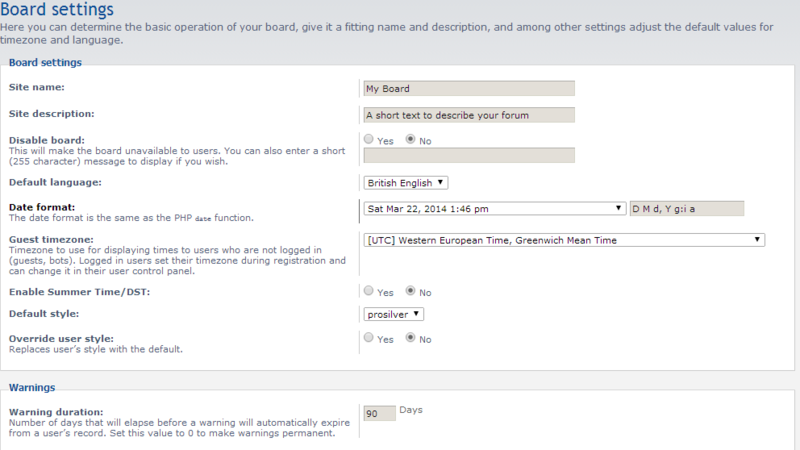 Enable Summer Time/DST – If the time on your forum should consider the Summer Time/DST change. Once you are done editing all of these settings please use the submit button in order to save those. If the options were configured properly you should receive a successful message indicating the change. 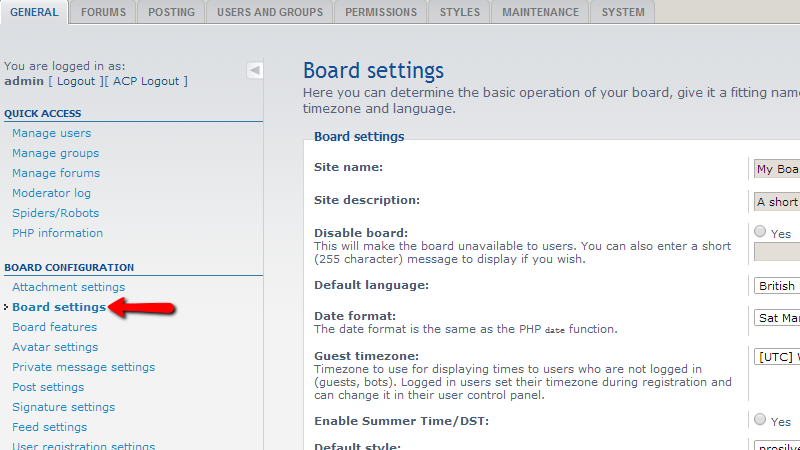 The next set of settings is called Board Features and it is located in your Administration Control Panel>Board Configuration> Board Features. Most of the options on this page are presented as Radio buttons with simple “Yes” or “No” value. The included features you can enable/disable are quite intuitive and also self-explanatory so you will be able to change them on your needs. That is all! You now know how to configure your Board once installed!